Fu holds the Smith Chair of Management Science in the Robert H. Smith School of Business, Department of Decision, Operations & Information Technologies (where he currently serves as Chairperson until June 2020) and has a joint appointment with the Institute for Systems Research and an affiliate appointment with the Department of Electrical and Computer Engineering, both in the A. James Clark School of Engineering. He was named a Distinguished Scholar-Teacher at the University of Maryland for 2004-2005. His research interests include simulation modeling and analysis, production/inventory control, applied probability and queueing theory, with application to manufacturing and finance. He is co-author of the book, Conditional Monte Carlo: Gradient Estimation and Optimization Applications, which was awarded the INFORMS College on Simulation Outstanding Publication Award in 1998. Other awards include the Business School's Allen J. Krowe Award for Teaching Excellence (1995), the Institute for Systems Research Outstanding Faculty Award (2002), the IIE Operations Research Division Award (1999), an Operations Research Meritorious Service Award (1999), and an IIE Transactions Best Paper Award (1998). He served as the Stochastic Models and Simulation Department Editor of Management Science from 2006-2008 and as the Simulation Area Editor of Operations Research from 2000-2005, and on the editorial boards of Mathematics of Operations Research, INFORMS Journal on Computing, IIE Transactions, and Production and Operations Management. He was also Guest co-Editor of a special issue on simulation optimization for the ACM Transactions on Modeling and Computer Simulation. His research has been sponsored by grants from the National Science Foundation, the Semiconductor Research Corporation, International SEMATECH, and the Air Force Office of Scientific Research. He served as Operations Research Program Director at the National Science Foundation 2010-2012 and 2015. He is a Fellow of the Institute for Operations Research and the Management Sciences (INFORMS) and the Institute for Electrical and Electronics Engineers (IEEE). In 2018 he received the INFORMS Simulation Society's Distinguished Service Award. Simulation modeling and analysis, applied probability, queueing theory, stochastic derivative estimation, simulation optimization of discrete-event systems. 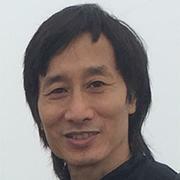 Min Wu joins illustrious list of ECE faculty members to receive this University award.